What is Turntaking in Dialogue? Talking to a robot can be frustrating. In most typical dialogue, humans use turntaking naturally – one person waits for a natural break in the other person’s dialogue to start speaking or answering the other. 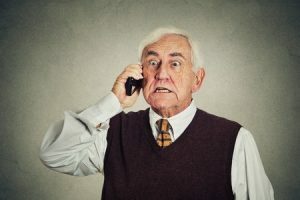 Computers and robots, however, are not great at this – generally, they are actually very bad, as we have all experienced when calling a phone-based automatic speech recognition system and have ended up screaming ‘No, that wasn’t what I meant’ to the automaton. Natural turntaking takes a lot of practice to get right and has to be naturally adaptive depending on the person you speak to. The CoCoMaps project takes existing turntaking technology created by IIIM and CMLabs and merges it with the Cognitive Map architecture that allows the robot (or computer) to not only do natural turntaking with one person, but broadens this out to work with two or more humans and two or more robots. We call this multi-participant turntaking. The technology will allow communication between humans and robots to flow much more naturally and provide enhanced information to the dialogue planning part of the system. 1 Response to What is Turntaking in Dialogue?